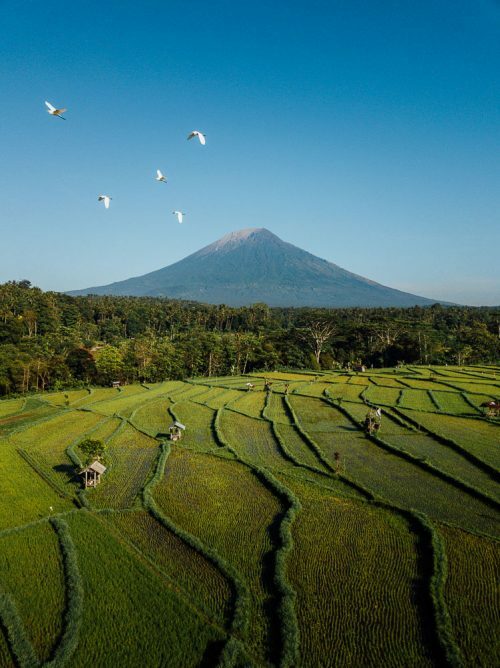 Mt Agung is Bali’s highest and holiest peak that stands at 3,031 meters! The name translates to Great Mountain and it is located in the north-east region of the island. 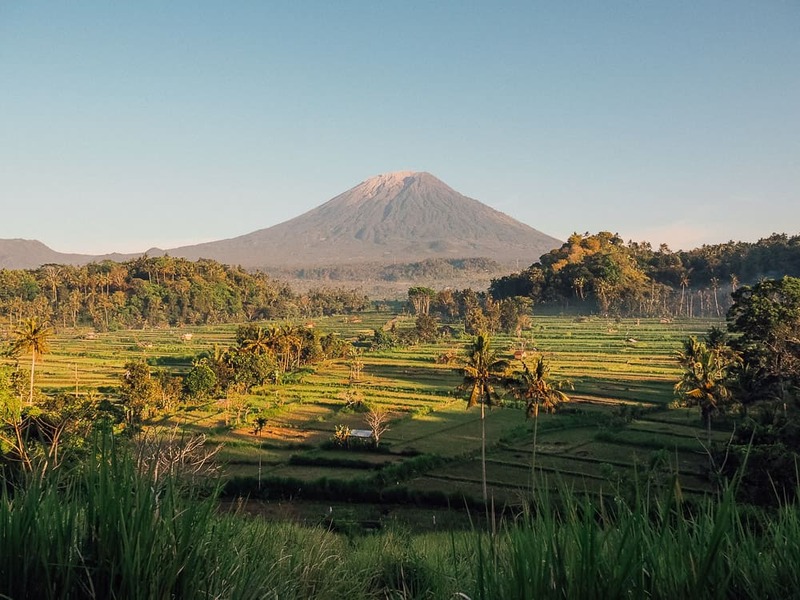 As you may or may not know, Mount Agung is one of the largest and most active volcanoes in all of Indonesia. 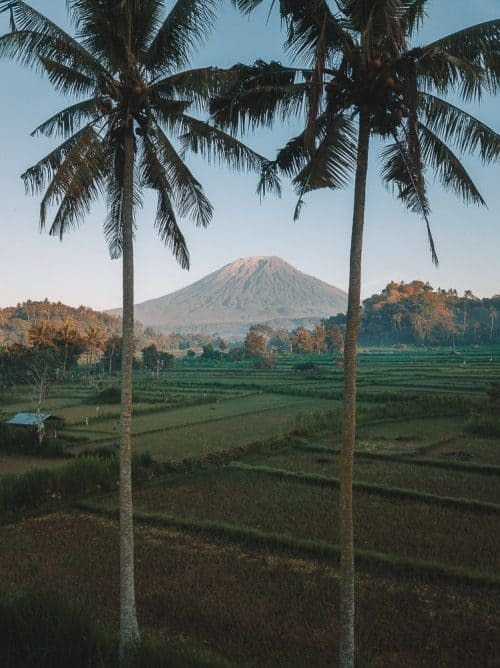 If you’re an early bird like me and want to experience an unforgettable sunrise, I highly recommend taking an early drive to the Mount Agung Sunrise Viewpoint at Bukit Cinta! 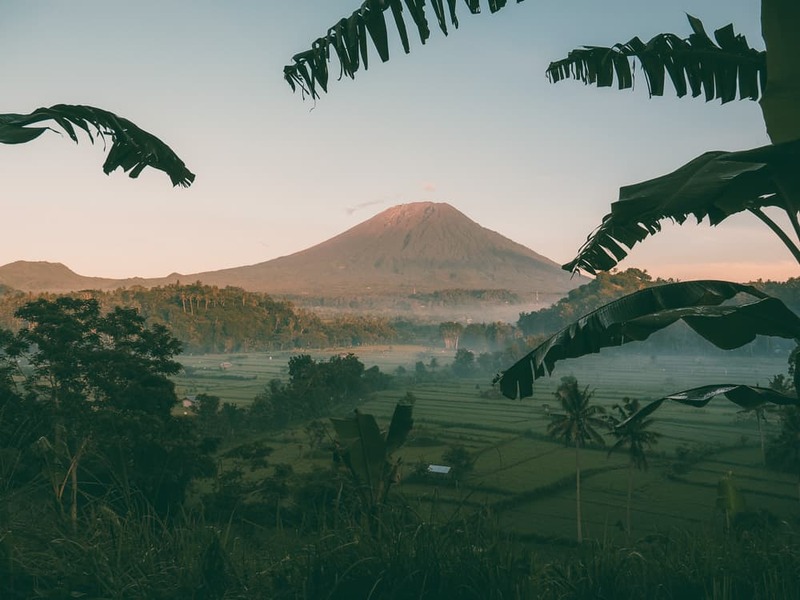 The journey time to get to the Mount Agung sunrise viewpoint at Bukit Cinta is a 2.5-hour drive from Denpasar. I left my accommodation at 4am to get to the viewpoint in time for the sunrise. If you prefer to travel by car, it is possible to hire a driver and a car for approximately 600,000 rupiah for the day. Most accommodations will be more than happy to help organise this for you. 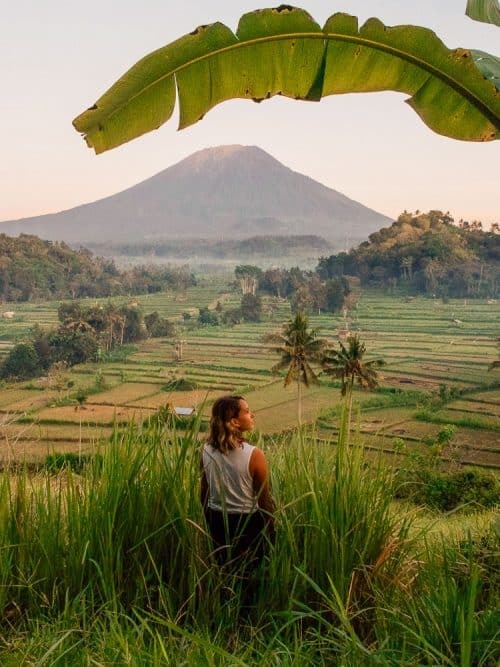 When you arrive at Mount Agung sunrise viewpoint (Bukit Cinta) I guarantee you will be astonished at the incredible view of Bali’s highest peak. I hope these photos I took of this location inspire you to go and explore this awesome spot for yourselves. 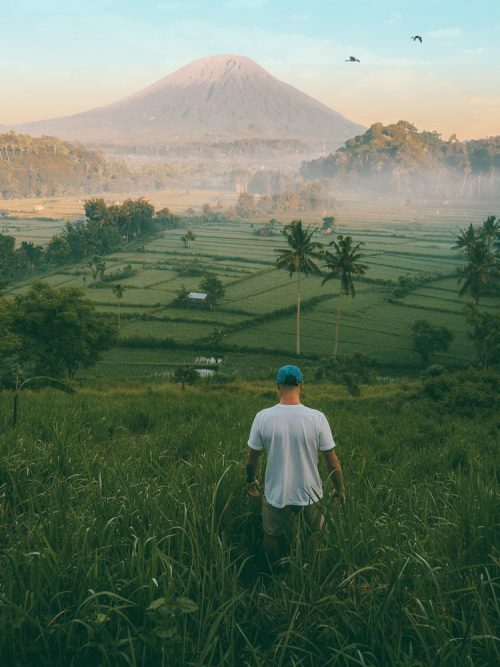 After the sunrise at Bukit Cinta, head back to the main road and drive north for another 5-10 mins to find another awesome viewpoint, shown below, of Mt Agung. This spot overlooks a vast valley of rice terraces with the Great Mountain standing prominently in the backdrop! I would recommend spending a couple of days in the small coastal town of Amed when visiting Bukit Cinta. 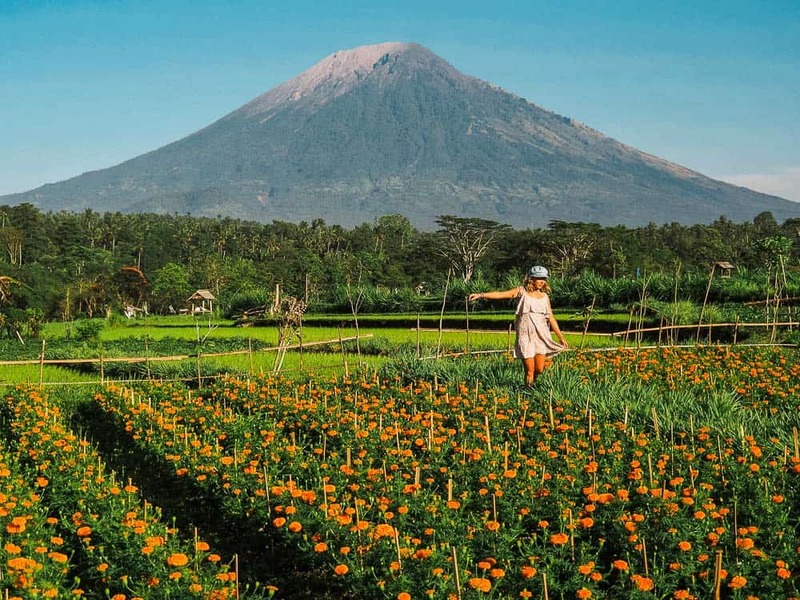 From Amed to the Mount Agung Sunrise Viewpoint it is approximately a 30-minute drive. Click Here to find accommodation in Amed and book in advance. 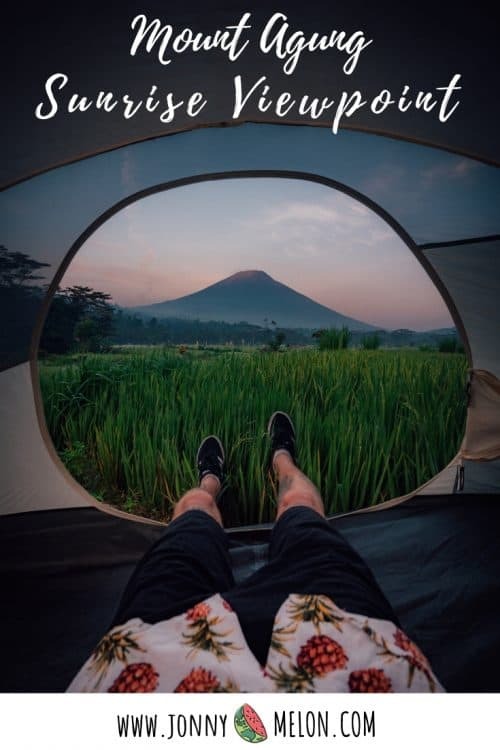 I hope you enjoyed reading this article and if you have any questions about Mount Agung Sunrise Viewpoint please drop me a comment below.